Mat Colborn who owns and operates the site with his wife Julia, told Xinhua on Thursday that the couple plan to launch their overseas operation during this year's Lunar New Year festival. "The cross border ecommerce space is really where we are looking," Colburn said. "Building a bridge between Australia and China." "Tell Me Baby" was established in 2016 as a place for parents to share product reviews directly with other parents, so far proving hugely successful as an online community in Australia. 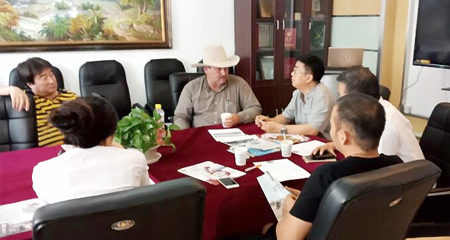 Now, with growing demand in China for trusted Australian products, the Coburns are grasping the opportunity to benefit both consumers and retailers. "We're helping to promote the Australian baby product industry to China, a lot of baby brands are obviously looking at that as a big market," Colborn said. With 17 million babies born in China every year compared to about 250,000 in Australia, its a huge market and huge potential for Australian brands. Colburn said that representatives from Tell Me Baby will attend the Child Baby Maternity Expo (CBME), the worlds largest infant expo, in Shanghai later in the year. Previous:Malaysia: Sabah keen on eco-tourism partnership with Chinese investorsNext:What is behind Jack Ma's footsteps in Africa?